The National Renewable Energy Laboratory (NREL) has entered into a license agreement with MicroLink Devices, Inc. (Niles, IL) to commercialize NREL’s patented inverted metamorphic (IMM) multijunction solar cells. While high-efficiency multijunction solar cells are commonly used for space satellites, researchers have continued to look for ways to improve cost and performance to enable a broader range of applications. The IMM technique licensed by MicroLink Devices enables multijunction III-V solar cells to be grown with both higher efficiencies and lower costs than traditional multijunction solar cells by reversing the order in which individual sub-cells are typically grown. The IMM architecture enables greater power extraction from the higher-bandgap sub-cells and further allows the use of more efficient low-bandgap sub-cell materials such as Indium Gallium Arsenide. In contrast to traditional III-V multijunction solar cells, IMM devices are removed from their growth substrate, allowing the substrate to be reused over multiple growth runs – a significant component in reducing overall device costs. Removing the substrate also reduces the weight of the solar cell, which is important for applications such as solar-powered unmanned aerial vehicles. MicroLink Devices is an Illinois-based ISO 9001 certified semiconductor manufacturer specializing in removing active semiconductor device layers from their growth substrate via a proprietary epitaxial liftoff (ELO) process. 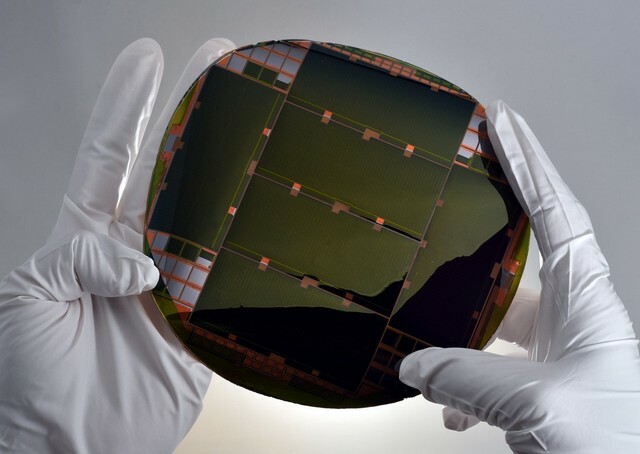 By utilizing its ELO capabilities, MicroLink will be able to make thin, lightweight, and highly flexible IMM solar cells which are ideal for use in unmanned aerial vehicles, space-based vehicles and equipment, and portable power generation applications. “IMM makes multijunction solar cells practical for a wide variety of weight-, geometry-, and space-constrained applications where high efficiency is critical,” said Jeff Carapella, one of the researchers in NREL’s III-V multijunction materials and devices research group that developed the technology. “Former NREL Scientist Mark Wanlass pioneered the use of metamorphic buffer layers to form tandem III-V solar cells with three or more junctions. This approach is very synergistic with our ELO process technology, and MicroLink Devices is excited to now be commercializing IMM solar cells for high-performance space and UAV applications,” said Noren Pan, CEO of MicroLink Devices. MicroLink and NREL have collaborated to evaluate the use of ELO for producing IMM solar cells since 2009, when MicroLink was the recipient of a DOE PV Incubator subcontract from NREL. Tests of MicroLink-produced IMM solar cells conducted at NREL have demonstrated multiple successful substrate reuses and efficiencies exceeding 30%. NREL has more than 800 technologies available for licensing and continues to engage in advanced research and development of next-generation IMM and ultra-high-efficiency multijunction solar cells with both academic and commercial collaborators.